High-end audio manufacturers Bang & Olufsen have launched their first dedicated 5.1 surround sound system, the BeoLab 14. And, in typical B&O fashion, it’s as expensive as it is stylish. 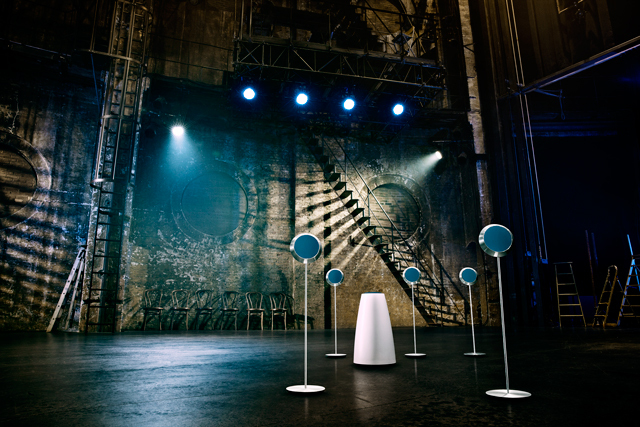 Consisting of a subwoofer and five satellites, they’re primarily made from aluminium, giving the round speakers (sitting on the end of aluminium poles) a retro sci-fi aesthetic. Those poles can be adjusted in height, while the speaker units themselves can be detached for wall mounting or even hung upside down from the ceiling. 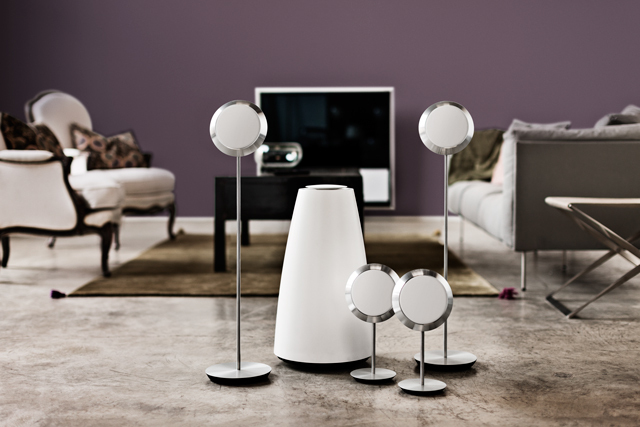 The system will be sold in two separate packages, one intended for owners of Bang & Olufsen televisions that comes with only four satellites and the sub (with the B&O TV’s own built-in audio making up the centre channel) and a package intended for all other AV enthusiasts, with a standard 5.1 configuration. “It’s a balance between the fight between the designer and the sound engineer,” said CEO Tue Mantoni at the system’s launch in London. “It’s for someone who want’s great sound, but does not want technology to take over their home. It’s been a wish for the designer side of our team to create a product that is well designed, without any seams or join lines, and without comprising on audio quality. In terms of manufacture we start with a solid piece of aluminium and are able to avoid welding lines as a result.” In terms of tech specs, the system makes use of a 280-watt subwoofer with a downward-facing 8-inch driver, housed in a cone-like casing, with five separate 140-watt amplifiers for the satellites. Low-end frequencies hit 26hz. Each satellite is houses 2.5-inch active treble and midrange drivers, with the whole unit measuring just 16-cm in diameter. 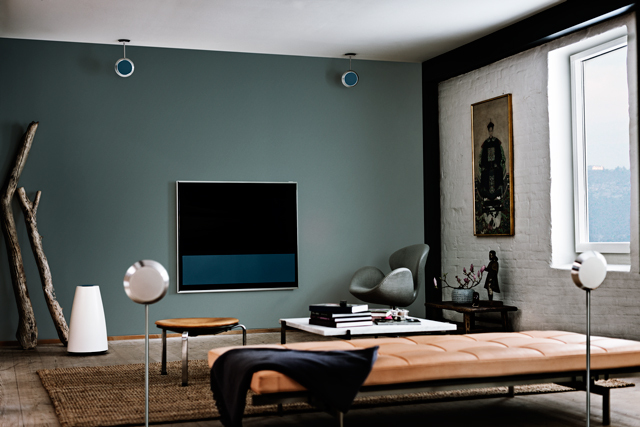 As you’d expect from Bang & Olufsen, a selection of different coloured speaker grilles allow you to customise the look to suit your home preferences. In typical Bang & Olufsen fashion, the systems don’t come cheap. Starting at £2495 for the 4.1 system and rising to £2,795 for the full 5.1 set-up, they become available as of today from Bang & Olufsen dealerships. The optional stands themselves cost an additional £190 a pair, so start saving.